The 1000mm Wide Roller Banner offers a huge print area for your message, measuring 1m wide x 2m tall for maximum impact. It is designed with extra size in mind, being built to be sturdier and stronger than others on the market. Finally, an affordable yet high quality 1000mm Wide Roller Banner! 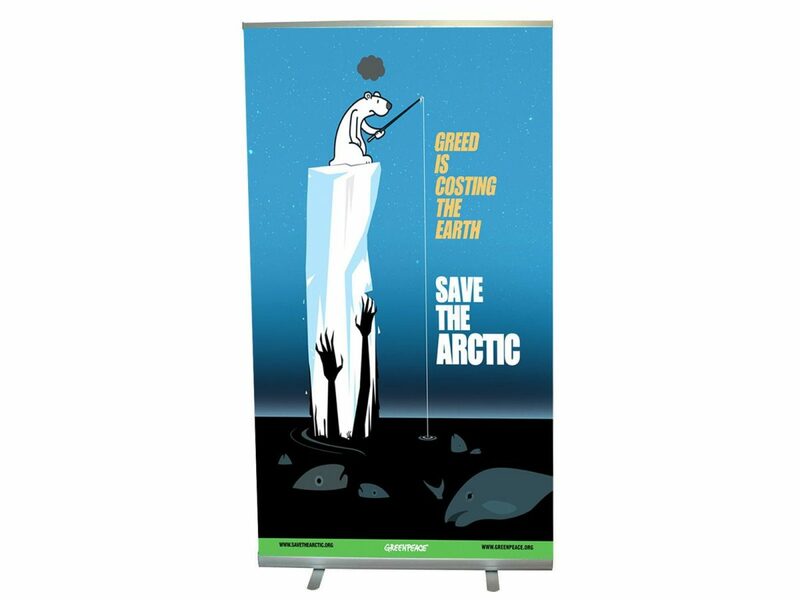 Roller Banners are ideal as portable displays – easy to store, easy to carry and simple to set up. We recommend them for use anywhere indoors where you and your clients need to make an impact. 1000mm Wide Roller Banners come complete with Carry Bag and are ready to use. The graphic panel is made from stay-flat polypropylene and has a ‘lightstop’ back to it, meaning that light from behind the roller banner is not seen. This is essential when your roller banner is in an exhibition environment where lots of bright lights may be shining from all directions – also useful if the roller banner is erected next to a window. Packed up into the case, your roller banner measures just 1050mm x 130mm x 130mm.